Why cellulose polyester waterproof surgical gowns outdo SMS gown? Now surgical gowns are mainly made by two materials, one is SMS nonwovens, and the other one is cellulose polyester laminated nonwovens. 1. Cellulose polyester fabric feels more similar with cloth. When surgeons wear it, they feel more comfortable and relaxed and tend to have better performance in surgery. Made in spunlace technology, cellulose polyester fabric is non-toxic and no binders. On the contrary, SMS is more close with plastics, and has worse comfort when wearing. 2. Cellulose polyester fabric has better flexibility than SMS, and endure more strength in MD and CD. 3. 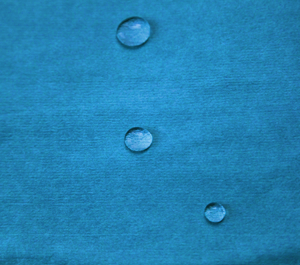 Cellulose polyester fabric has better performance in resisting water, alcohol, blood, providing higher lever body protection for surgeons and patients. 4. Cellulose polyester fabric has less chance to lead static, which means higher safety in surgery.